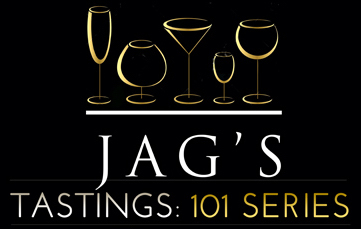 Join Jag's Steak & Seafood for Jag's Tastings: 101 Series the last Thursday of each month. Jag's chefs and managers will share their deep knowledge of food and beverages with guests as they explore a new theme each month. Reservations are $50 per person and seating for each event is limited. Reservations for these one-of-a-kind tasting and learning events are required and can be made by contacting Jag’s Steak & Seafood events coordinator Natalie Holbert at (513) 860-5353, ext. 23 or natalie.holbert@jags.com.